Colin Farrell acting with his native Irish accent, Rachel Weisz doing anything, and watching the highly unusual Dogtooth, also directed by Yorgos Lanthimos; these are three things I really enjoy, three things that I felt almost guaranteed my enjoyment of The Lobster, Lanthimos’ newest oddball, dark comedy. Farrell is a bona fide talent, Weisz is a goddess in my book, and Lanthimos a unique talent who America is just starting to appreciate; what could go wrong? During the first half of the film, nothing did, the story becoming the strangely poignant, cleverly humorous vehicle I had imagined it would be. But the second act completely derailed the film, turning it into the inaccessible picture that typical audience members detest and are frightened by. 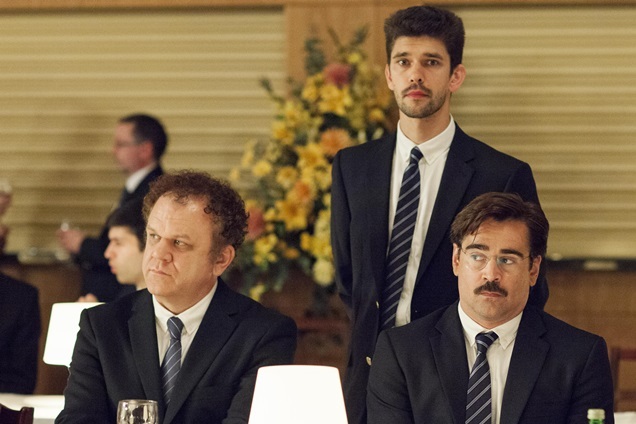 An experiment that almost went right, The Lobster is otherwise a morbid look at love that sadly missed the mark. In our dystopian future, individuals are required to find a partner. Romance hasn’t been banished, far from it, love is encouraged, but the penalty for not developing & keeping a healthy relationship is very severe. In fact, the punishment is that the offending party is turned into the animal of his or her choice. A single person not currently in love is sent to the Hotel where they have 45 days to find a match or they will be transformed into an animal and released. The Hotel is part spa, part speed dating session, as men & women attempt to find compatible companions before their time is up. But life in the forest outside the Hotel is even more complicated, as escapees huddle in the rain plotting the downfall of the system and refusing to give in to the emotions forced onto them by Management. David, our hero, looks to fit in somewhere, anywhere, surviving as he can and attempting to find happiness is the least likely of places. 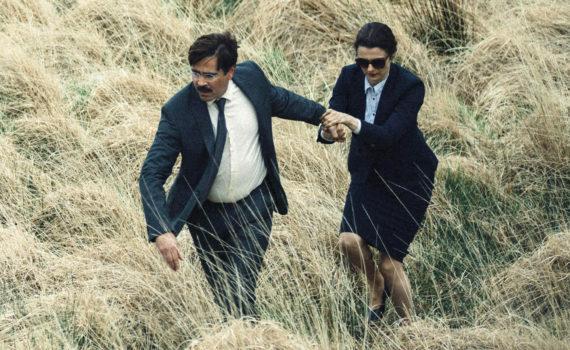 Colin Farrell is good, Rachel Weisz is wonderful, Yorgos Lanthimos directs another creatively original film, but The Lobster stumbles anyway, tripping over its own feet in a dance that started so smoothly but ended a heap on the floor. Farrell, Weisz, and the other characters spoke to each other in almost complete monotone, forcing a deadpan atmosphere that worked at first and in the Hotel, but soon became an overused trick. After an hour had gone by and you remembered that another hour was still to come, the weird ways of the first act looked daunting when imagining them in the second. Lanthimos didn’t let up, even taking away the humor of the beginning, leaving us with a film that became a heavier weight with every passing minute. By the time Lea Seydoux was introduced, I had begun to dread the darkness that I could tell was ahead, and her horribly boring character helped not one bit. The film became a confusing mix of Paolo Sorrentino and Terry Gilliam, melting Youth & Brazil into a dystopic holiday where no one goes home & nothing makes sense. Not that there wasn’t a ton of undertone, even overtone, volumes to say on love, relationships, courtship, attraction, and gender pressure. But the message was delivered so haphazardly that the point was lost by the end. John C. Reilly, Ben Whishaw, and Olivia Colman were all brilliant in the beginning, and I loved the way the film was set up, the way this wacky world turned, the way the characters were at a complete loss. But switching the action to the forest was a major mistake, and the wheels came off at that point, leaving the movie to slide on its belly until it came to a screeching halt. Much could have been done to save this film, as the bones were strong & the vision clear. Perhaps a short instead of a feature would have worked, I’m not sure, but something was needed to hold it back from going too far, which is did, to my complete surprise and disappointment.